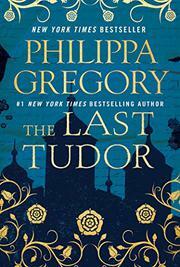 The bloodlines, if not the ambitions, of three Tudor sisters imperil their lives. Gregory’s multivolume chronicle of the Tudor dynasty, with its emphasis on the women, now turns to the ill-fated scholar and Protestant reformer Jane Grey and her two sisters, Katherine and Mary, grandnieces of Henry VIII. Upon the death of Henry's sickly son, King Edward VI, Jane, through complex machinations on the part of Protestant nobles wishing to block the accession of papist Princess Mary, takes the throne of England. In a matter of days, as told in Jane’s first-person section—one of three, each narrated by a Grey sister—Jane is deposed by Princess Mary’s forces and, after several months' imprisonment in the Tower, beheaded. As a lady-in-waiting to Queen Elizabeth, who has succeeded Princess Mary, Katherine thinks the Greys are out of danger until she marries her lover Edward "Ned" Seymour in secret, without royal permission. Through a drawn-out tragedy of errors, most ascribable to youth, bad timing, and political naiveté, Katherine and Ned find themselves in the following predicaments: he goes on an extended tour of France and Italy having been assured by Katherine that she is not pregnant, though she later learns that she is. Ned’s sister Janey Seymour and the officiating minister, the only witnesses to the marriage, die and disappear, respectively. Unable to reach Ned, who is not answering her letters, Katherine seeks help elsewhere but is universally rebuffed, then arrested; she gives birth to her son in the Tower. Katherine’s section of the book, the longest, drags: since she knows very little, her first-person point of view cannot enlighten the reader, who spends many pages mulling over multiple mysteries: why is Ned incommunicado? Will he return? Can Katherine prove her son is legitimate? Will Elizabeth pardon her? Etc. The third sister, Mary, due to her diminutive size, assumes she is beneath Elizabeth’s notice in all respects, but when she emulates Katherine’s mistake, she and readers are again forced into a limbo of pondering the queen’s next move. Tedium is inevitable as we watch these Tudor heirs wait.